Welcome to the final episode of the season on race, womanhood, and belonging – and you’re in for a real treat. 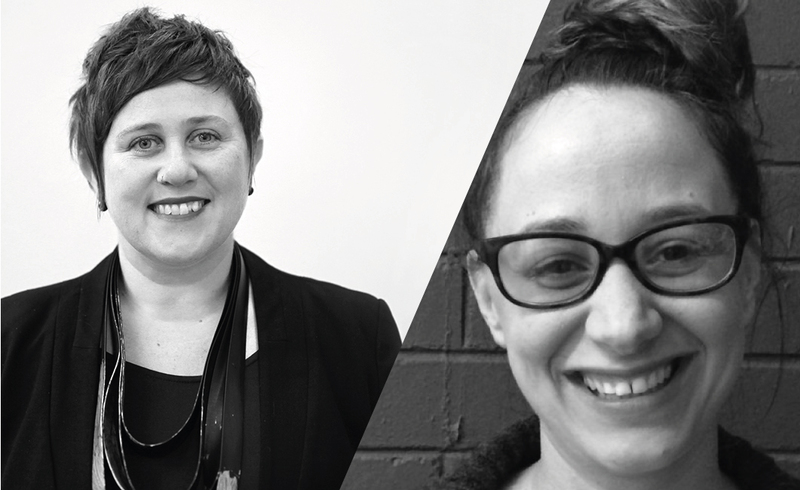 To close a season created in partnership with Footscray Community Arts Centre, we speak with two head ladies of FCAC about the ethos that guides FCAC’s work. Departing Artistic Director Jade Lillie, and Head of Programming Lydia Fairhall, discuss white privilege, their personal history with both feminism and decolonisation, and what it really takes to create a community. In the fourth episode of the season, we speak to theatre director Leticia Cáceres, and performer and writer Lena Caminha, about language and its relationship to belonging. What happens when your mother tongue is not your country’s national language? What happens when your husband’s mother tongue is not your own? What happens when your teacher cannot pronounce your name? What happens when you migrate to a country whose language you resisted learning in school, because it was the language of the coloniser? In the second episode of our season on belonging and exclusion, created in partnership with FCAC, cross-disciplinary performance artist Carly Sheppard and PhD researcher, artist and curator extraordinaire Paola Balla speak about Australian Aboriginal women’s perspective on intersectionality, motherhood, contemporary feminism, and making art. We are so privileged to be listening in. Community is a warm word, a comfy word: we all want to belong to something larger. But community does not exist without exclusion: how else would we know whether we’re on the outside, or on the outside? This warm and safe place, community, is a place of obligations: to behave well, to act right, to lie for your mates, and to see no evil; to not recognise harm even when it is done to you, because it’s done by one of us, and we must stand together. And not everyone gets a good deal on the inside. It is from within that Audre Lorde wrote: “If I didn’t define myself for myself, I would be crunched into other people’s fantasies for me and eaten alive.” It is from within that Virginia Woolfe wanted a room of her own. In the fifth, upcoming season of Audiostage, we will ask what it means to want to belong; what it means to be let in, and not let in. We ask about being made an outsider even when we want to be insiders, and about the choices we make in order to step out of places we were never let into. We began recording in the week in which the Australian Government has started to weaken Section 18c, the part of the Racial Discrimination Act that makes it an offense to use racial or ethnic slurs. We recorded from a country in which so many of us are constantly reminded that we, perhaps, do not belong here. In the fourth episode of season three, we discuss the politically explosive work of Sarah Jane Norman, Aboriginal Australian, queer, non-binary, cross-disciplinary artist. SJ’s whole body of work traverses performance, installation, sculpture, text, video, and sound; it is anchored in a multitude of physical disciplines, as well as the written language. SJ has presented their work at Venice International Performance Week, Spill Festival of Live Art, Fierce Festival, In Between Time, Edinburgh Festival, as well as Performance Space, Next Wave, the Australian Experimental Art Foundation, and Brisbane International Festival. A proud Indigenous Australian of both Wiradjuri and European heritage, SJ grew up in Sydney and regional NSW, but today divides their time between Australia and Berlin. Most recently, SJ Norman was one of the artists In Residence with Marina Abramovic in Sydney, and has presented their Unsettling Suite at Melbourne Festival, as part of Dancehouse’s Dance Territories program. Looking through their rich body of work, we discuss inheritance of history, continuing transgenerational trauma, and the value of dissecting the effects of the politics of colonization with the artist’s body today.